Jeffrey Novell is a litigator who focuses his practice in the area of labor and employment law with particular emphasis on workers’ compensation defense, retaliatory cases, Title VII, FLSA, employment discrimination, wage/hour claims and EEOC claims. He has practiced before federal and state governmental agencies, defending his clients under labor and equal employment opportunity laws. Mr. Novell also counsels on all aspects of employer/employee relations including employment defense litigation, workers' compensation potential claims, and business litigation. 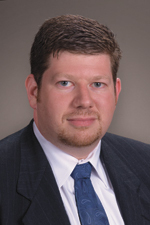 Mr. Novell joined Hinshaw & Culbertson LLP in October 1999. Previously, he litigated against the Social Security Administration. During his undergraduate studies, Mr. Novell was Treasurer of the Florida State University Pre-Law Society. He was the founding Treasurer for the Pre-Law Chapter of Phi Alpha Delta Fraternity.